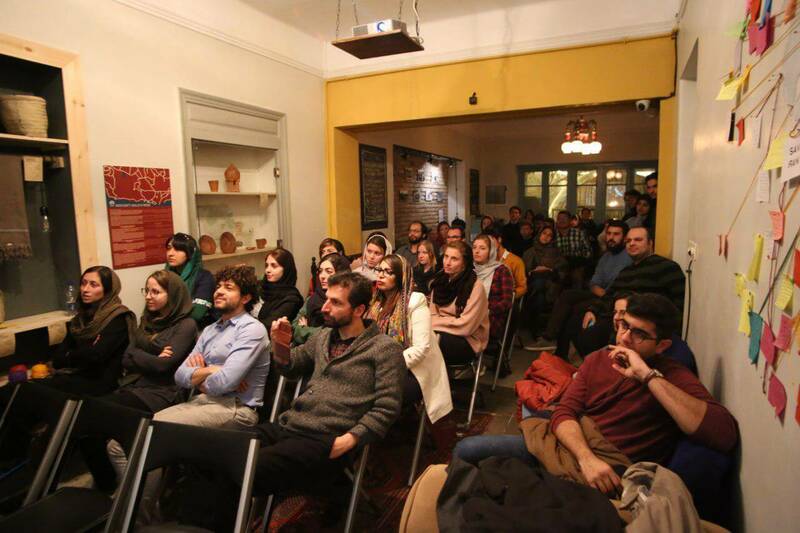 Sitting in Tehran. Eating Dolmehs. Listening to a Dutch art critic. Talking to foreign students about a world of cities. 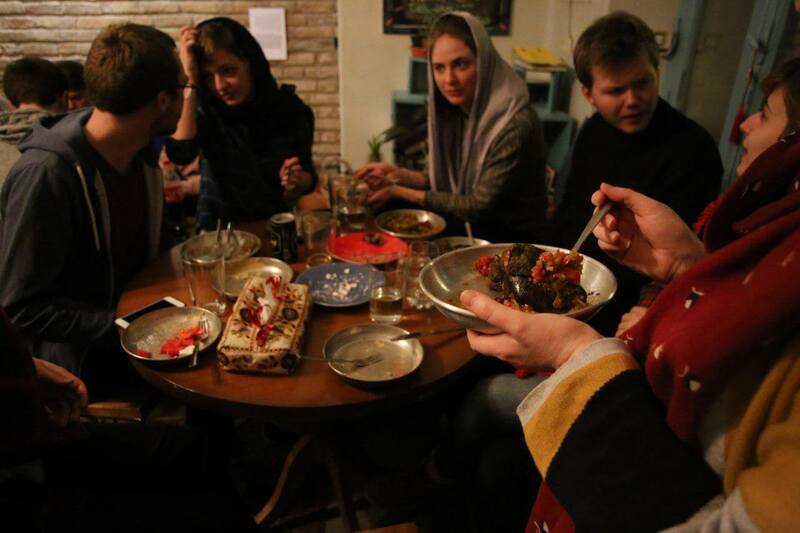 Reveling in global communities. Is that what a non-isolated Iran feels like? 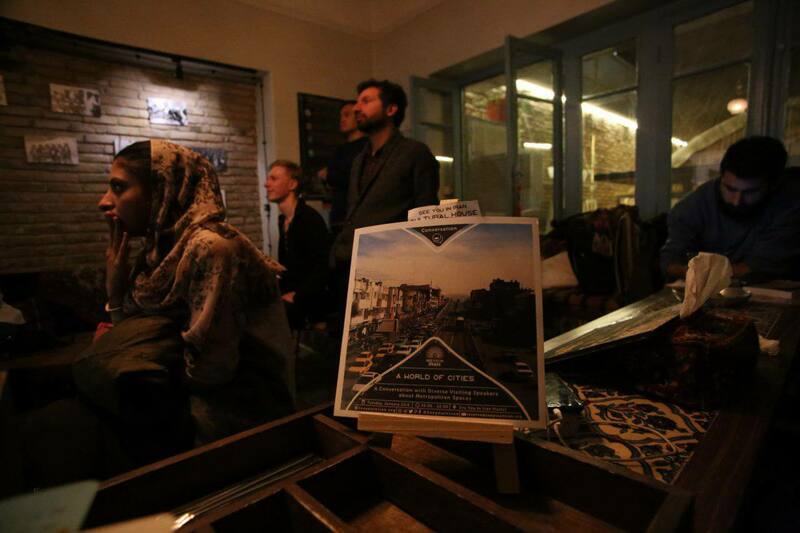 See You in Iran Cultural House’s “World of Cities” event explored the power of physical spaces in the capacity of artificial borders, skyscrapers, cultural venues and gentrified neighborhoods. For the event four college students from Germany, Spain and the Netherlands moderated a conversation with the crowd about everyone’s various experiences living in an increasingly urbanized global community. Coughing from air pollution. Frustration from inequality. Joy from all the job opportunities. Inspiration from all the diversity. Then art critic Neil van der Linden from Amsterdam dived into a talk about Iranian musicians and his experiences traveling to Iran from his native Holland out of a passion for Iranian art. Cities, we realized, can disconnect and also connect. Iran may feel less isolated, but life in Tehran and other similar urban spaces is fraught with disconnection. A truly global community covers all environments. We will look forward to continuing this conversation. Vibrant art scenes, competition, and diversity are characteristic of cities… so is gentrification, socio-economic inequality, and pollution. What have you experienced in urban spaces? What do you think the value of living in a world of cities is? 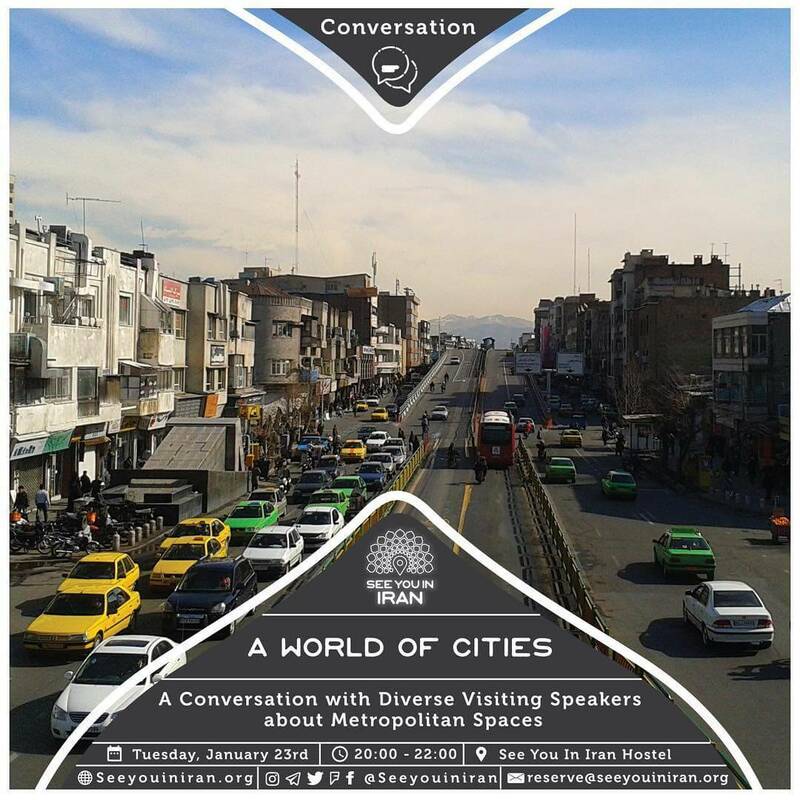 The upcoming public event “World of Cities” will introduce speakers from Tehran, Amsterdam, Berlin, Paris, Barcelona and other metropolises for a nuanced conversation about living in an increasingly urbanized global community with special guest and art critic Neil van der Linden from Amsterdam, who will host a section on the contemporary art in urban spaces. “The most recent cycle of globalisation has seen the start of a new wave of distinctive, specialised and globally aspirational cities. Many of them are higher-income cities within their respective regions and seek to leverage their efficient infrastructure, improved quality of life, and better security and environmental performance compared to the larger megacities. Cities in this wave are less likely to have major political or institutional functions. Rather, they are competing in more dynamic and fast-moving global industries where opportunities have arisen for greater market share. Among this group are Brisbane, San Diego, Shenzhen, Santiago de Chile and Stockholm.